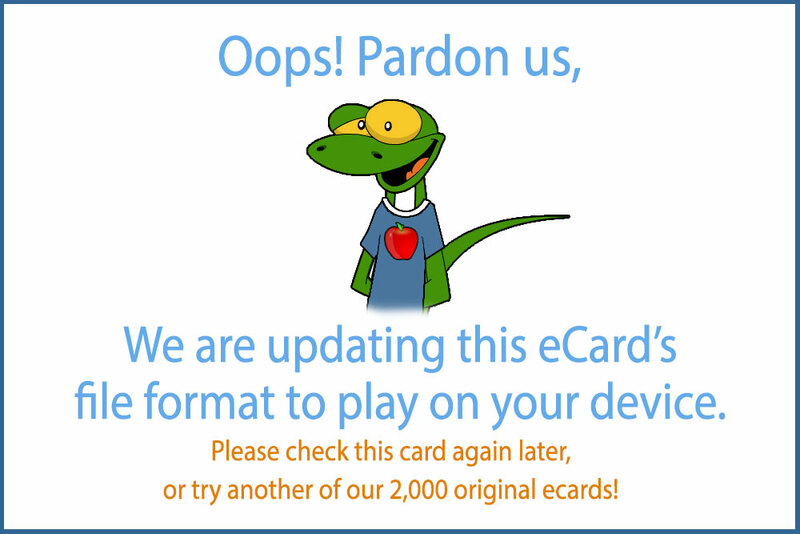 What Singing birthday ecard is complete without chickens? Fun and funky, happy and unique, the chicken band delivers a charming and slightly silly birthday card for you. Chickens come in amazing varieties with colorful, beautiful and sometimes odd plumage. For this birthday ecard, rather than animate the always fun and funny white variety of chicken, we wanted to go back to the 1970's and find birds with colors and feathers reminiscent of the great glam rock bands like Aerosmith. 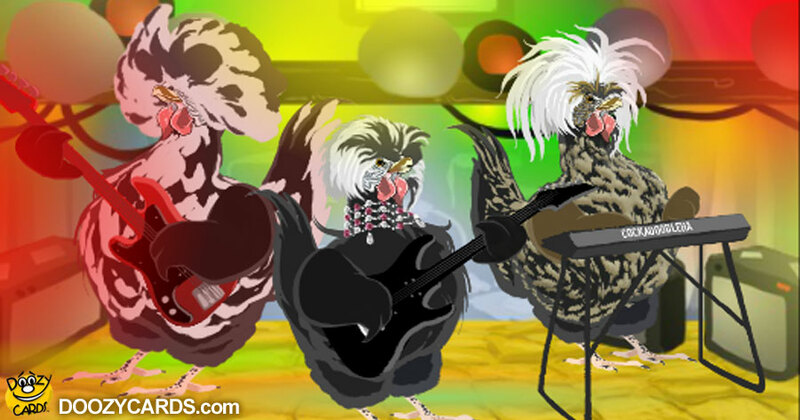 We think the lead singing chicken is particularly Steven Tyler-esque. With original music and words we ourselves composed, we are pleased to present you with Glam Poultry in a rolicking musical birthday ecard.